Kate found her love of travel at an early age when she began doing humanitarian work abroad. Soon enough, she began traveling with a camera, immediately igniting her passion for photography. Resolute to continue traveling and shooting she applied to Brooks Institute of Photograhpy in Santa Barbara. In 2004, she graduated with a degree in Commercial Photography. Then promptly packed her cameras and started living the peripatetic life her heart had always called for. Making her first stop in Roatan Honduras where she set up her visual media business, managed a small hotel, worked as a wedding photographer, and ran the light show for a local band. After a few years of living a pirate’s life and being a jack of all trades it was time for her to move on to new challenges. In Busan, South Korea she discovered that her diverse experiences coupled with her humorous, playful personality made an ideal skill set for an ESL teacher. Quickly she found teaching to be another of her true passions and continued to teach in a small town in rural Taiwan for several more years. 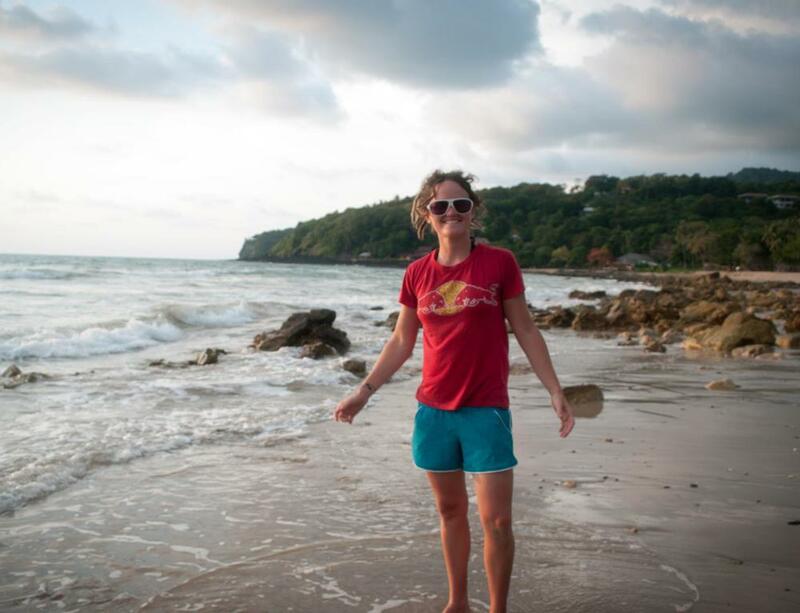 She proudly calls Koh Lanta, Thailand home now. The final columniation of her skills and experiences all came together with the opening, branding, and marketing of Oasis Yoga, a small beach-boutique studio that she owns and operates with her partner. There she spends her days with her camera, capturing the stunning beauty of island living, practicing Muay Thai, editing in hammocks, touching her toes, walking her dogs, drinking coffee and coconuts, and living as authentically as possible. Kate is available for weddings, family portrits, web design, branding, marketing or workshops.